Fighting illicit traffic represents a complex challenge calling for the development and use of a variety of legal and practical tools created and implemented over the last fifty years to try to regulate the art market and better control the movements of cultural goods across borders. No society has been able to criminalise an activity and fight against it without the agreement and the support of the general population. In order to efficiently fight the illegal trade of cultural property, it must be considered as a serious crime by the general public. A change in the common mind-set implies addressing the public opinion through a variety of communication channels. Public communication is the key element of awareness-raising. The use of new technologies and web instruments allows national and international actors to easily and quickly contact thousands of people around the globe. Among other objectives, public communication is actually a key purpose of the International Observatory on Illicit Traffic in Cultural Goods. The mixing of such innovative tools with more conventional communication tools (videos, TV spots, postcards, billboards in train stations and airports, etc.) is essential for the development of wide and efficient public campaigns of sensitisation. In this regard, the specialised and mass media play a major part in calling the attention of the public. The role of mass media has been transformed over the past decade. The looting of the Bagdad Museum in 2003 was a definite turning point with regards to their interest in and position on the issue. Communicating with the media can prove tricky in case of theft, and communication strategies in such crisis situations often need to be put in place in order to preserve the reputation of the concerned location. Nevertheless, the media remains one of the strongest tools for the mobilisation of both the public and the stakeholders towards the protection of cultural heritage against illicit traffic. Awareness-raising starts in schools and universities. In several countries, interesting educational tools have been developed and tested, proving their ability to sensitize children and teenagers to the importance of preserving cultural heritage. Older students are also an important target of such programmes, particularly in art, heritage and archaeology courses, where a high percentage of them intend to work in a conservation location, a university or in the art market, will be confronted one way or another to the thorny question of illicit traffic. The development of strong international legal basis is at the core of an efficient transnational cooperation for a constructive fight against the traffic. The ratification of the two main international instruments, namely the UNESCO 1970 Convention and the UNIDROIT 1995 Convention, is a basic requirement, and countries can hardly fight the traffic and hope for the restitution of stolen objects without signing these international instruments or implementing their basic principles. Though ratification is hardly efficient without a proper implementation, only few of the 134 State Parties of the 1970 Convention have actually implemented the instrument thoroughly. The Convention requires a series of essential measures from countries. These vary from the inventory of national cultural property to the creation of specialised services to fight the traffic. As for the 1995 UNIDROIT Convention, which has so far been ratified by only 42 countries, the possibilities it offers to national authorities and individuals are often misunderstood or underestimated. Nevertheless, the “spirit” of the convention and its main principles – such as the obligation of due diligence – are gaining ground among the international community and art and heritage professionals. They actually have a growing influence on the evolution of national and regional practices and legal frameworks. For the raising of awareness, the promotion of legal instruments, the development of practical tools, the training of professionals and the enhancement of international cooperation, international organisations play a crucial part. 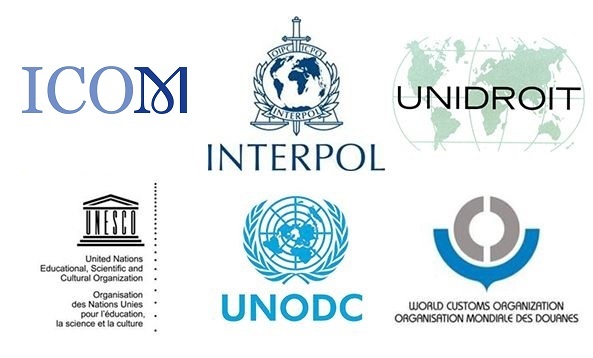 The United Nations Economic and Social Council (ECOSOC) officially recognises an international group of experts made up of six organisations who are working in close collaboration to combine their expertise in the area: the International Council of Museums (ICOM), the International Criminal Police Organization (INTERPOL), the International Institute for the Unification of Private Law (UNIDROIT), the United Nations Educational, Scientific and Cultural Organization (UNESCO), the United Nations Office on Drugs and Crime (UNODC) and the World Customs Organization (WCO). This international group of leading experts, along with other NGOs and intergovernmental organisations, participate in the international efforts to stop illicit traffic in cultural goods. When dealing with transnational criminals who perfectly know how to take advantage of the legal and operational gaps, international cooperation is an essential element in the following areas: standardisation of the practices and of the legal frameworks, exchange of information, control of the transportation of cultural goods, joint investigations, prosecutions, dialogue for the return or restitution of stolen or looted cultural property, etc. In view of the difficulty to reach a strong international legal consensus in the matter, the number of bilateral and multilateral agreements has been growing over the past few years. The European Union is a perfect example of a situation in which the necessity to have a common framework for the control and the status of foreign cultural objects within the common market has forced EU institutions to tackle the problem, and eventually recast the Council Directive 93/7/EEC on the Return of Cultural Objects Unlawfully Removed from the Territory of a Member State. At the bilateral level, great progress has been made by countries such as the United States or Switzerland in signing bilateral agreements with countries particularly exposed to the looting of archaeological property. Such bilateral agreements often completely prohibit the import of certain categories of cultural objects without proper documentation and establish a specific framework for the return or restitution of these objects to their country of origin. The question of illicit traffic is a highly sensitive issue, mostly because the question of the return and restitution of cultural property raises passions, cultural identities and national pride. In this regard, States must undoubtedly respect national and international legislation and ensure full cooperation in facilitating the return or restitution of stolen and/or illicitly exported cultural property to its rightful owner. Meanwhile, a large proportion of the litigations regarding the ownership of cultural objects are not covered by law, and such cases shall be studied based on scientific, professional and humanitarian principles. In this regard, constructive dialogue is absolutely essential, at the individual, community, institutional or political level, in order to find a solution suitable for all the parties involved. Furthermore, governments should not forget that today’s thefts are tomorrow’s claims for restitution; and priority shall be given to the fight against the current illicit traffic in order to avoid future litigations and diplomatic disputes. The creation of national services for the protection of cultural heritage is one of the first requirements of the 1970 Convention. For governments willing to better control the trade and movements of cultural property, the best strategic decision is probably the creation of a specific police unit dedicated to cultural heritage. In many countries, like Italy, USA, France or Spain, such specialised units have substantially improved the country’s capacity and expertise in fighting the traffic. Law enforcement officers are usually not trained to protect cultural heritage, and they are rarely aware of the cultural, financial and political issues at stake in illicit traffic in cultural goods. Made up of as little as two people or as much as twenty, or even more, specialised units are the linkage between the law enforcement and the cultural heritage, and they can eventually be placed under the authority of the Ministry of Culture, as it is the case in Italy. However the setting up of such units is not sufficient if they are working in isolation. They can’t be really decisive unless they closely cooperate with other administrations and sectors concerned by the issue: cultural heritage, customs, justice, foreign affairs, art market. In order to foster cross-sectorial cooperation, the creation of an integrated task force made up of the representatives of these different sector, can be a solution. To support the work of international organisations, law enforcement agencies, state administrations and art and heritage professionals therewith, a wide range of practical instruments have been developed over the past decades, particularly for police and custom agencies. Inventory being the best way to protect a cultural object, there are dozens of inventory tools already in existence and readily available to help individuals and institutions register and manage their collections. Meanwhile, INTERPOL, UNESCO, ICOM, cultural heritage organisations, art trade and art appraisal organisations and insurance companies recommend the use of a specific international standard determining the minimum amount of information to document collections of archaeological, cultural and artistic objects: the Object ID Standard or Object ID norm. Developed by the J. Paul Getty Trust, the Object ID Standard simplifies the retrieval of an object in case of theft and is compatible with INTERPOL’s database of stolen works of art. Along institutional and national inventories, the use of a database of stolen cultural property is another essential requirement to track down stolen objects and prevent their transaction. Notwithstanding the importance of national databases, the use of the Interpol's Stolen Works of Art Database remains the best way for everyone to access to information on stolen objects from all over the world. In the list of practical instruments intended for law enforcement agencies, ICOM’s Red Lists help them quickly identify, for a given country or region, the categories of objects particularly exposed to the traffic. In order to improve the control of the export of cultural goods customs can also use the UNESCO-WCO Model Export Certificate for Cultural Objects. These are only a few examples among the extensive list of guidelines, standards, databases, catalogues, standardisation and public communication tools that have been developed to support the fight against illicit trafficking in cultural property. 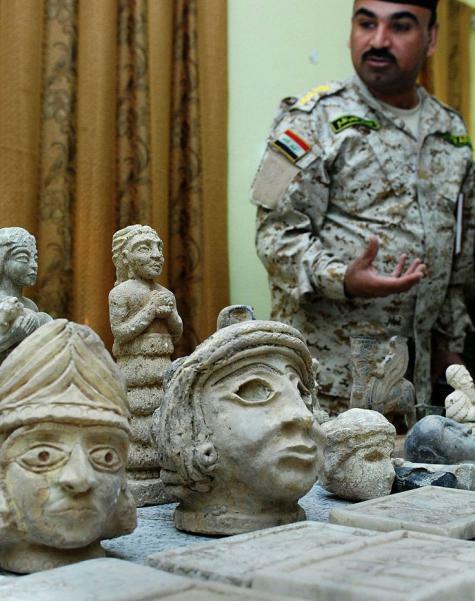 Three types of professionals are de facto exposed to illicit trafficking in cultural goods: those involved in the study of cultural goods, those involved in their protection and exhibition, and those involved in their trade. In the absence of strong legal framework and the impossibility to control all the transactions of cultural property, strong moral principles need to be established for the governance of a professional’s behaviour or the conducting of an activity. In some contexts, international or national codes of ethics or conduct remain the only existing normative references for the ruling of professional conduct. 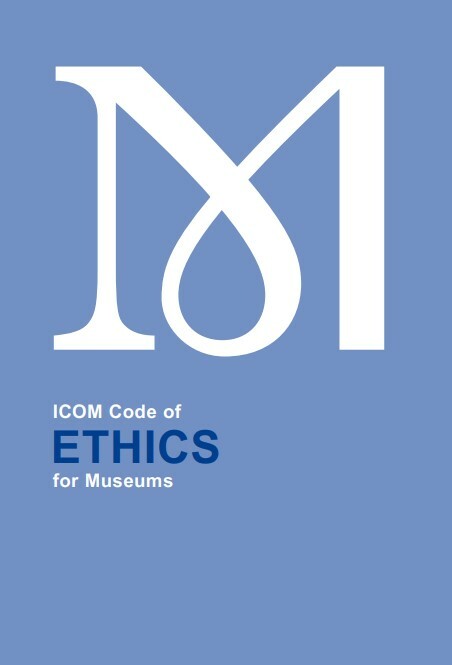 A wide range of codes of ethics and guidelines have been drafted and revised in a number of professional sectors: archaeologists, art historians, museum professionals, librarians, archivists, art dealers, etc. They are all intended for different contexts, and they address different matters. Though, despite the high number of principles listed in these instruments, there is a clear lack of sectorial and geographical harmonization with regards to the prevention against illicit traffic in cultural goods, and efforts need to be done in this regard. Though it doesn’t tackle the root of the problem, securing cultural property remains the obvious first weapon against illicit traffic in cultural goods. Depending on the means available and the context, security will be ensured using different methods, either through mechanical (lockers, showcases, etc. ), electronic (cameras, alarms, etc. ), or human (guards, police, etc.) means. In the more recent decades, new technology has supported the design of high standard security tools. Although such high-technology instruments can be very attractive, many arguments tend to prove that they can’t guarantee full security on a site or a museum. 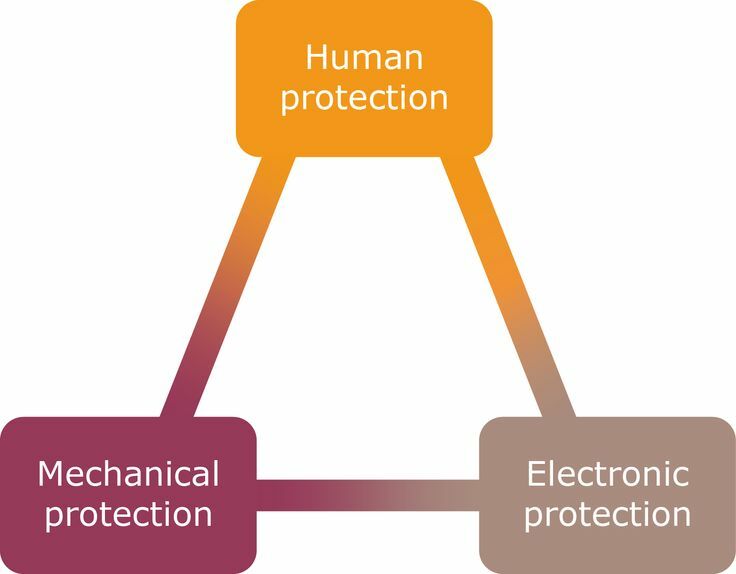 All experts agree that optimum security can only be provided through an intelligent combination between human and technical means. Furthermore, the effectiveness of security systems will vary from one place to another. If they can prove to be very performing in museums, they are much less efficient on identified archaeological sites. Anyhow, they will never ensure a complete immunity against theft for cultural objects. With regards to the great and improving skills of thieves and looters, security above all is made to obstruct the illicit removal of cultural goods. Should an object be stolen, inventory remains the best precautionary measure, as it offers the only means to recover it.